Walking definitely helps get you back into helthy ways after a heavy session. You dont give yourself much recovery time before the abuse starts again so I think exercise and eating are hugely important as well as fitting in water between the alcohol to stop dehydration. Last time I had bands lined up from. The start to the end of the day but wasnt too steingent on fitting them all in and had some marked out that were clashes just in case I ended up in a different area and would have something to do. Thursday - Brass Band (cant remember which one), Napalm Death, The Men Who Will Not Be Blamed for Nothing, Rhythm of The Nineties, Smoothsailors. Sunday - King Gizzard ans The Lizard Wizard, Frank Carter and The Rattlesnakes, The Magic Numbers and Bootleg Beatles again (Around them caught some of Barry Gibb, Chic and Biffy Clyro). Felt a bit rough Friday and Saturday was a long slog but generally with all the walking I never felt like death at any real point, though I did spew up on Sat night and I think that spared me a Sunday hangover. Wasnt that strict either, had bands I wanted to see but otherwise we just made our way round the festival seeing bands who we wanted that were fairly close by thougb Thur/Fri we started on the otherside to the featival to where we were camped which wasnt the greatest idea. The thing is that I do have something of a rep for packing my festival to the brim, and being pathologically unable just to bimble. Rest assured that I always have the most unbelievable time, but making sure that pretty every waking moment (about 20-21 hours a day) is full of stuff is an integral part of that for me. @Gnomicide's reference is to the fact that most people, quite sensibly, advise festival goers, especially newbies, not to plan too much. Horses for course, of course, of course, to paraphrase Dr Seuss. I’m quite rigid in sticking to the must sees on Clashfinder, but I’ve found in recent years the best balance between being social with our group - many of whom aren’t that fussed about seeing loads of bands - and needing my own music fixes, so I find half a day with maybe 6 acts I will go see on my own, and race around like crazy, doing plenty of mileage. I love walking round anyway especially when conditions are good, prefer it to sitting on a blanket at the Pyramid for hours. Think my favourite moment of 2017 was heading off on my own from camp to get a drink and a bit of food, and ending up watching the majority of The Pretenders from the back of the field and then having a wander about. Hadn't had them on my list, and had actually forgot they were playing. Hadn't been to Glastonbury since 2009 so it was like seeing an old friend. Such a lovely solo moment - even with the absolutely savage post Shangri La comedown from the night before. AM’s confirmed for the Brits. This is entirely correct. And it was a quite magnificent experience with two of the furthest-traveled music fans you will ever meet. Me and even more so my wife aren't big drinkers so don't blame alcohol but the walking and standing is epic over the 5 days . 2016 had full plan as it was our first walked a ridiculous amount . I remember walking back to worthy view car park on Monday stopped at one point thought I can't walk one more step . Was wiped out for a week after .2017 learnt my lesson took it bit easier lot less running between stages lot more relaxing lot less planning . One nice thing to do if you are missing out on the headliners is to head up the hill and take in the view whilst the festival is going full tilt. In 2016 we forewent the company of Adele on the Pyramid for the smaller scale pleasures offered by The Turin Brakes on Avalon. After the show we headed back up to Worthy View via Strummerville and got see the site in all its Saturday night glory. Arcadia flaming away to the west, Adele and the lit up Pyramid to the north and buzz of the naughty corner to the east, it really was quite the sight. It's a sad state of affairs if these minor league US fests are booking the same headliners as Glasto. They're more popular in the UK than they are in the US, simple as that. Works the other way too with bands that have headlined festivals over here playing low down over there. Granted it usually aligns the other way with nationality. Don’t speak common sense!! That’s not allowed here. Yep. LCD headliner Coachella and were Otehr Stage at Glastonbury.  Editors headline festivals in Europe! Makes sense really, The Killers always sounded like a British indie band. They headlined Gov Ball, Lolla and Bonnaroo in 2017/18, genius. The rumour mill has (Coachella headliner) Tame Impala playing the Other Stage at Glastonbury. The "they did a smaller festival so shouldn't headline Glastonbury" argument is pretty dumb even when the festival is in the same country - when it's on other continent it's just nonsensical. Ok Gov Ball in 2016. Serves me right for being cocky. More like the Kim Jong-Il puppet from Team America World Police covering the greatest hits of Menswear, I'd have said. Surely they’ll announce a Wembley gig (or something similar) off the back of it. They also played to very small crowds at both of those shows. They haven't had anything come close to touching the mainstream US charts since "When You Were Young". Have their more recent albums done well in the UK? Just seems very uninspiring to book a band that has been so overexposed when it comes to festivals gigs, as well as only having 2/4 original members at this point. Also, with no new material to promote what makes this booking exciting or exclusive?